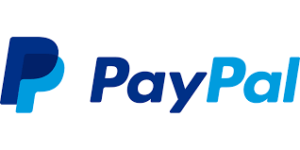 PayPal’s management has talked about being on the hunt for quality acquisitions, and the stock has risen in recent months partly on speculation that the company might soon buy another company or get acquired itself. Bernstein analyst Lisa Ellis wrote Wednesday that a deal looks likely “in the coming months” and ran through the list of possible candidates. A European acquisition seems to make the most sense, but there are also some strong domestic options. In Europe, the best candidates are Adyen, which enables businesses to accept payments online, and Klarna, a Swedish e-commerce company that allows customers to pay after an item has been delivered. She considers Adyen to be the “Braintree of continental Europe,” referring to PayPal’s business that processes behind-the-scenes payments for Uber and others. Klarna could enhance the company’s credit operations in Scandanavia. On the domestic front, she thinks there’s a possibility that PayPal buys Stripe, which competes with Braintree, or Square.